Levitating Speaker – Welcome to Cool and Crazy Gadgets! Who says science isn’t magical? 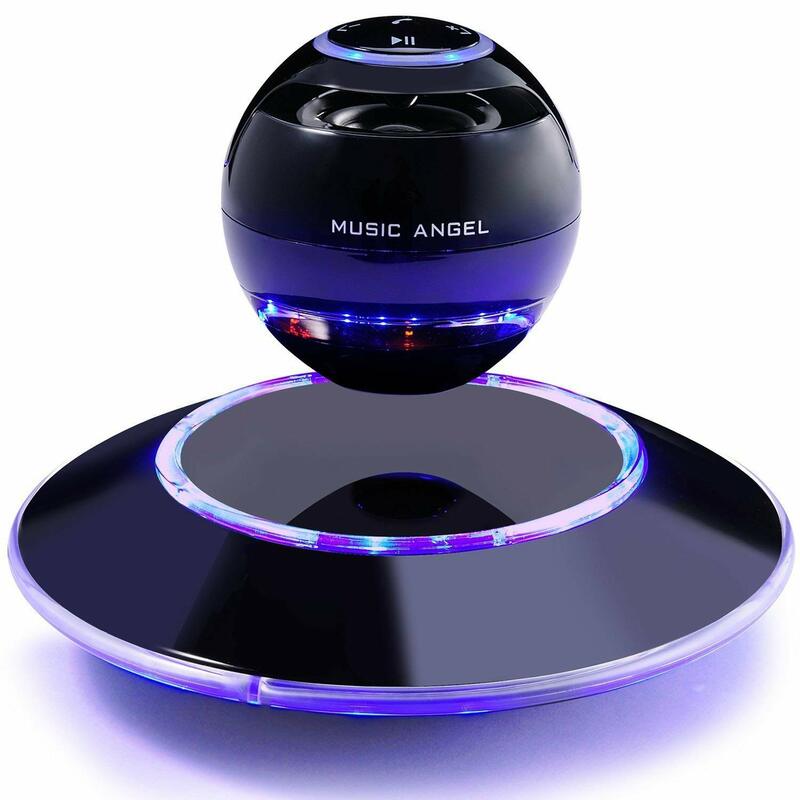 Using the latest innovative magnetic technology this speaker floats freely due to the force of the magnetic field between the speaker and it’s base once connected to AC power. The speaker also has dynamic stability control meaning that even when it’s spinning it remains completely stabilized! You’re Friends and Family Will Want it Too! Show off your awesome gadget masterpiece at dinner parties and around your home. They’ll also be mesmerized by it’s nature-defying ability! This will also make a perfect gift for any music lovers or sci-fi enthusiasts. Enjoy the ultimate sound experience with its advanced integrated acoustics. This elegant speaker provides a high quality and enriched listening experience, with it’s crystal clear full range coverage. Balanced bass technology also provides strong resonant 360 degree surround sound, with rich and immersive sound quality. Boasting an 8-hour playtime from a single charge of it’s 500mAh rechargeable battery, this levitating speaker will keep you dancing for hours on end! Whether you’re going crazy on the beach or camping away, you can enjoy this speaker wherever you go. Enjoy the levitation feature when the base is able to connect to an AC power supply! Fully compatible with a range of smart devices you’re able to connect to your levitating speaker anytime, anywhere. Answer incoming calls hands free and open up your speaker to the world of music through Spotify, Google Play or iTunes. Charming multi-colour lights for whether you’re playing heavy bass or relaxing piano music, this device will show it’s visual display accordingly, making it a luminous dreamy planet spinning in the universe of sound. Have you ever felt the frustration of hearing an incoming call at home but unable to take it? Well now you can use the convenient hands-free feature to take calls using it’s integrated built-in microphone technology, at the push of a button. Use the precision touch-screen technology to change the volume up or down or simply play and pause music anytime! Set your levitating speaker in motion by gently rotating the orb, and watch your instrumental musical planet magically spin in mid-air!